There are almost 2,800 different snake species that have been discovered in the world. And that number changes regularly as more are discovered. But not all species of snakes are kept as pets. The most commonly kept snakes are in the families of Boidae, Pythonidae, and Colubridae. 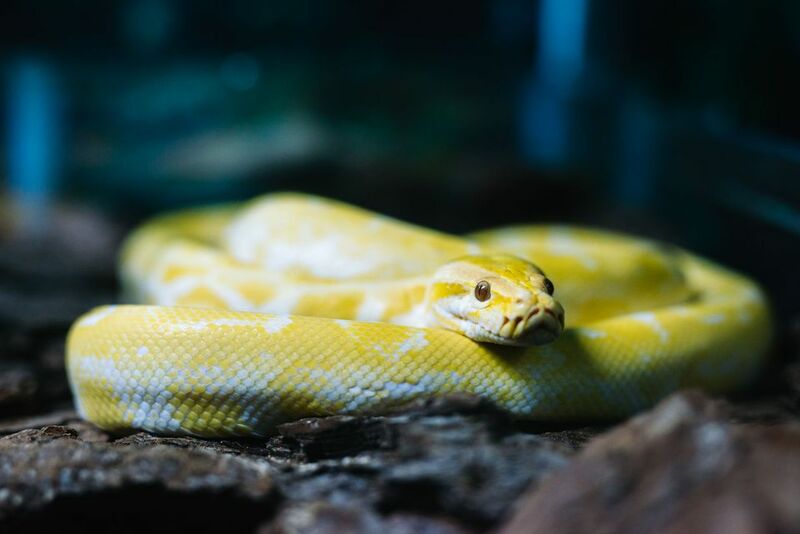 Although you can probably get almost any kind of snake from a reptile show or online, your commonly kept pet snake species from these families are listed here. Many other kinds of snakes are kept as pets. Growing to be about a foot and a half long, these are unique burrowing snakes. They are usually docile snakes that burrow their entire body under sand while keeping just their tiny head exposed to strike at passing prey. They are beautifully colored with yellow and brown patterns. These are large snakes but still regularly seen as pets. Growing to be 15-20 feet long (and sometimes even longer), burmese are usually pretty docile but a little more active than your smaller ball python. Feeding these big guys isn't for someone scared of handling dead rats, or other larger prey items. Due to their heavy weight when full grown and their extreme length, burmese pythons may be better left for adult snake owners. Closely related to the milk snake, king snakes grow to be about 6-7 feet in length making them a smaller pet snake. They got their name from the fact that they will readily eat other snakes so they should definitely be housed alone. King snakes are native to North and South America and breed regularly in captivity so finding a captive-bred pet shouldn't be difficult. Actually, a species king snake, the milk snake is most commonly seen in the pet trade closely mimics the color patterns of the venomous coral snake (known as Batesian mimicry). The common saying, "Red on yellow will kill a fellow, but red on black is a friend of Jack" refers to the band patterns found on coral and milk snakes. Coral snakes have red bands next to yellow bands while milk snakes have red bands next to black bands. Perhaps one of the plainer looking snakes, the rat snake makes up for his lack of luster in his athletic abilities. Able to swim and climb trees, this is an active snake. They will wrinkle their bodies up to resemble a rattlesnake and even vibrate the ends of their tails when startled or frightened. The rat snake constricts his prey before eating it and is found throughout parts of North America. A species of rat snake, the corn snake is a popular beginners snake due it's small size but also a well-loved snake to the experienced keeper because of their varying color patterns. Corn snakes usually max out at about 5 feet and are excellent escape artists, as are many snakes. They aren't known to be biters and are pretty docile snakes.